When you're looking for ways to boost your digital marketing efforts, Google Ads is a great option. It can help to ensure your business gets discovered online and puts your business ahead of the competition. But, when done incorrectly, you may find you have wasted spend and don't get the results you were hoping for. Essentially, Google Ads is a form of paid advertising. In Google search results, you will have a set of different results based on your search. When you do a Google search, you are presented with paid results, organic results and sometimes, local map results. 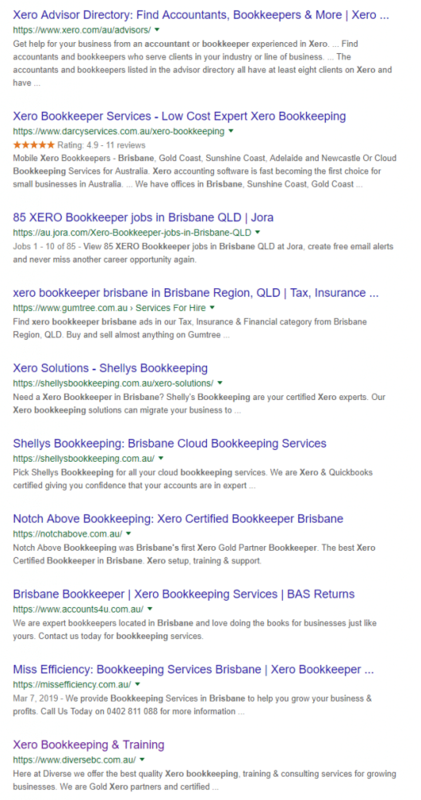 Above, we can see for the search "xero bookkeeper Brisbane" and the first results. Before the URL of the result, we can see a small notice telling us it is an "Ad". Below the initial Ad results, we see a map view and local listings. 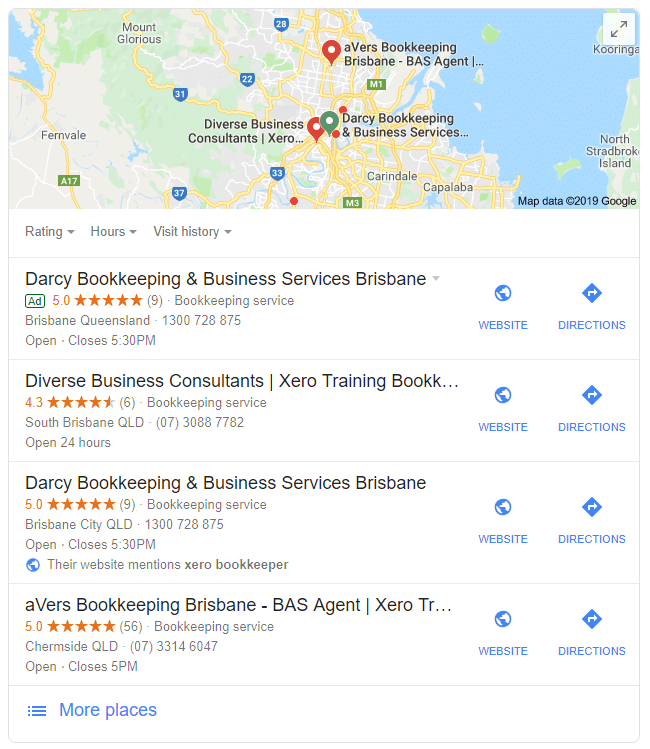 These results show the business name, their website (if applicable) and where they are located on the map. Below this again, we see what is known as "organic search results". These are results that are selected based on Google algorithms and various ranking factors. As you can see from this basic search, having your business listed at the top of search results with the use of Google Ads can be quite beneficial to you. Google Ads are a great way to boost online traffic and brand awareness when used correctly. You could spend hundreds and even, thousands of dollars on Google Ad spend, only to have people clicking on the Ads who aren't worth it. What do you hope to achieve with Google Ads? Do you want more traffic to your website? Do you want more people in the local area to know you exist? Or, do you want to sell more items on your website? Whatever your goal is, be sure you know exactly what it is you're hoping to achieve. Your goal may even be to increase the amount of people signing up to your newsletter. If you're running a cafe in Sydney, there's no point in having people in Brisbane (who are only interested in finding a local cafe) clicking your ads. If they do, they will see that you're not close to them and they'll look elsewhere. This is going to lead to wasted spend. If you have a physical store and your goal is to get more people into your front door, one thing to do is ensure your ads are showing to local people. You can change the settings of your ads so that they are only shown to people in your local region or who have an interest in your local region. This means people who regularly travel to your location may be included into the search parameters. If you search for "Sydney Chinese Restaurant" and see an ad that has "Sydney Chinese Restaurant" in the title, do you think this ad will be relevant to you? Would you click on it? Chances are, you would think that this is exactly what you're looking for and will click on the ad. As a part of your research when creating your ads, it's important to take notice of the keywords you are selecting and use them within your ad copy. Not only will Google see that the ad is relevant to the keyword, but so will your searchers/potential customers. Make sure to utilise your keywords within your ads, but make them relevant. Don't just "stuff" the keywords into your ads for the sake of it! Google Ads can be confusing, especially if you've never utilised them before. 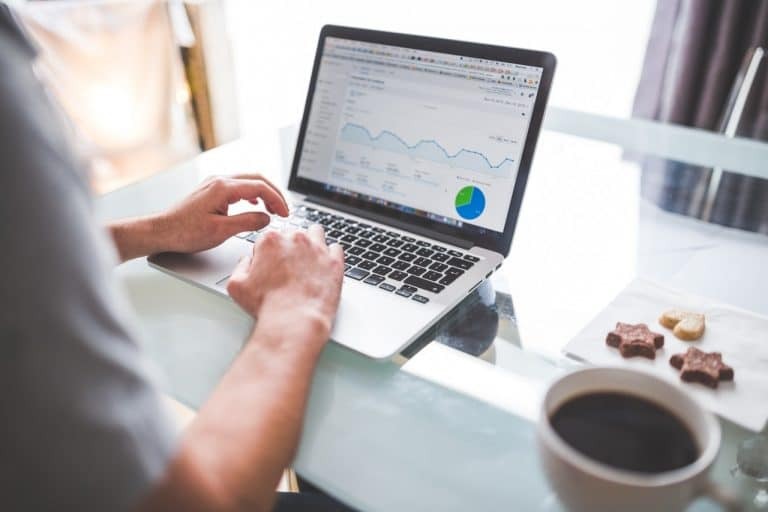 If you would like to make use of Google Ads, but you're not sure where to start, hiring a digital marketing agency who has hands-on experience with Google Ads could be worthwhile. Not only will you be able to ensure that your Ads are setup correctly, but you'll also spend less time working on your ads and managing them on a daily/weekly/monthly basis. 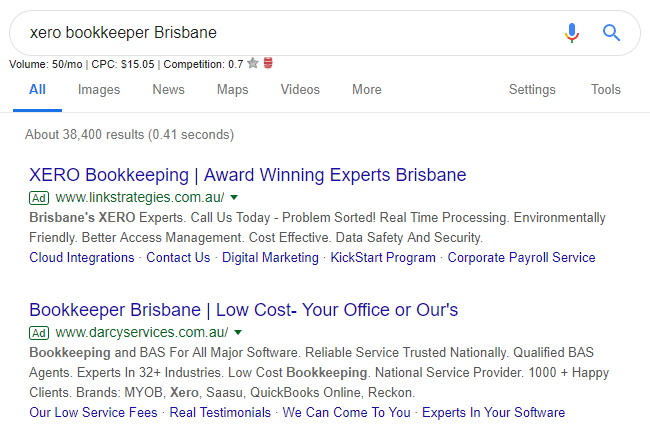 Google Ads are a great way to boost your reputation and ranking online whilst working on other long-term strategies such as organic SEO (search engine optimisation). If you're looking for a team to help you with your Google Ads, get in touch with Ink Marketing today. We can work with you to ensure your Google Ads are taken care of.